Distance relationships – to be or not to be? Distance is known as the main obstacles for the relationships. However, if we look at the European cultural legacy, we will see that a lot of stories are based on long parting between a man and a woman. If you do not trust all this ancient rubies – just remember about some more recent examples. Your grandmother probably waited for your grandfather for a couple of years while he was in the army. Today the life is different, nobody argues with that – everything is fast, we have really no time on anything, and one could think that long distance relationships cannot exist in such conditions. You are not right, luckily, and let’s prove that love is stronger than miles and kilometers! Thousands of Western men are dating Russian women using the Internet – mainly Skype and Facebook. Sometimes such computer applications and social networks allow us for striking up new acquaintances and sometimes they let us maintain all kinds of personal contacts. We are really the lucky ones who have such awesome means of communication – people used to rely on snail-slow post which could easily let you down and lose the letter you have been waiting for during two last months. Nowadays it is enough to click the right button and you see each other with your amazing significant other who is now on the other side of planet. 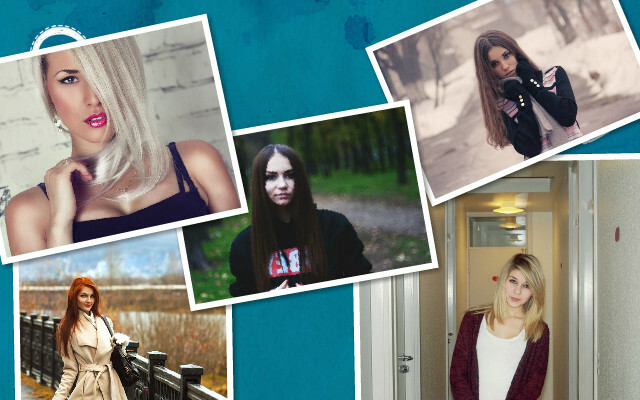 The Internet connection today lets you stay in touch with the Russian girls who may be waiting for you in their home towns. You can reach them from anywhere! Video connection may be in not an ideal way to feel closer to your second half but it is definitely better than phone calls and especially than emails and chats. Is distance always a problem? There were very many wise people in the East. One of them once said that a distance is like a wind and love is like a fire – if the fire is too little it will not survive the wind, but if it is strong enough it will grow much bigger. It is a great reason to be optimistic about Russian dating which is usually based on quite long partings. Even if you both are sure in your feelings and she is going to join you in your country it will still take some time for a girl to get prepared – American visa can be done during two or even more weeks, so please be ready to wait even for a month or more. Sometimes there also other obstacles for immediate meeting – Russian ladies have to solve all the issues with their houses, with relatives, friends and sometimes even with ex-husbands who still do not want to sign the divorce documents. The main thing to remember here is that it is useless to press on her and to turn irritated. There are things that are out of our control and the best solution is just to wait and to maintain the contact. If distance is not something you are afraid of – we recommend you to register on our website and start your online dating with the Russian beauties right away!